BMW Motorrad is gearing up to launch around 9 new motorcycles in the next few years. One of them is believed to be the G310 RR Supersport, essentially a racier version of the TVS Apache RR 310. The G310 RR Supersport is the track-focused version of the nimble G310 R and hosts a lot of carbon fiber. 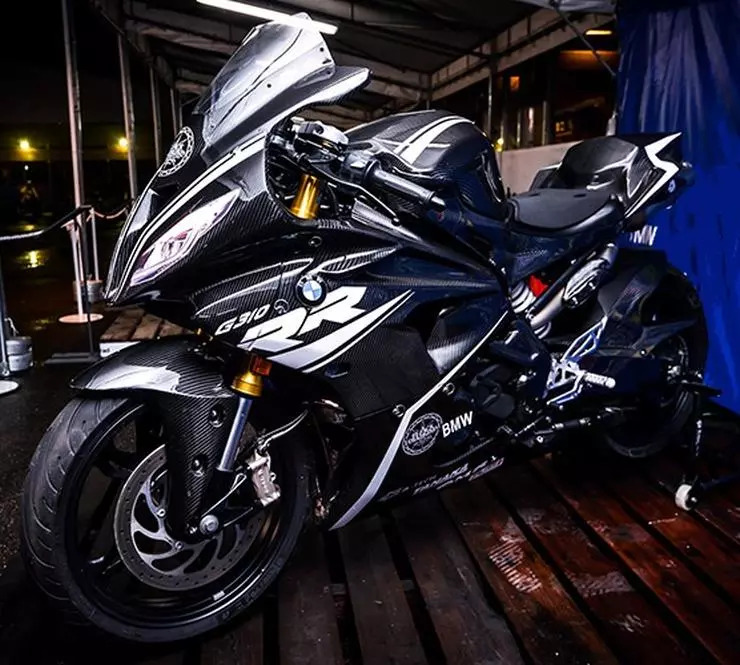 The bike was displayed at the BMW Motorrad Days in Japan, and it looks like a baby BMW HP4 Race in the faired avatar. The BMW G310 RR Supersport gets body panels made from carbon-fiber which is used in race cars and superbikes to add rigidity and save weight. The front fairing of the bike saves the weight by getting a full carbon fiber fairing and stickers sit in place of actual headlights. The front brake is a 320 mm Brembo unit while the rear gets a 220 mm ByBre brakes, which is a solid giveaway that this is a bike with its origins in India. The front shocks are upside down units, and the rear end gets a single centre mounted spring shock absorber. The extensive use of carbon fiber saves around 30-40 Kgs of weight and adds more to the overall strength of the bike. The rear houses an underbelly exhaust system that exits below the rear seat. The engine used on the BMW G310 RR Supersport will be similar to the one on the G 310R and Apache RR310. The bikes get power from a 310cc, single-cylinder, liquid-cooled engine that produces a maximum power of 34 Bhp and 27.3 Nm of peak torque. The engine comes paired with a 6-speed transmission and a slipper clutch system is also standard. The bike is based on the same platform as the Apache RR 310 and shares similar chassis and suspension components. 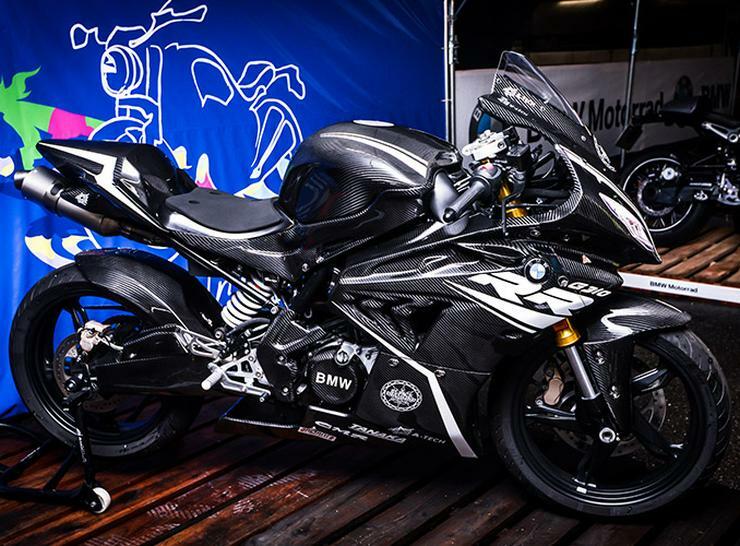 The carbon fiber used in the development of G310 RR Supersport is made in-house by BMW. The bike looks quite aggressive and all that carbon fiber gives it an exotic look. The BMW G310 RR will rival bikes like Kawasaki Ninja 400, KTM RC 390 and Honda CBR 300R in the entry level performance bike segment. BMW is expected to unveil the G310 RR Supersport officially at the EICMA show in Milan in November 2018. The brand could launch this motorcycle in India sometime next year and the prices are expected to start from Rs. 3.5 lakhs (ex-showroom).